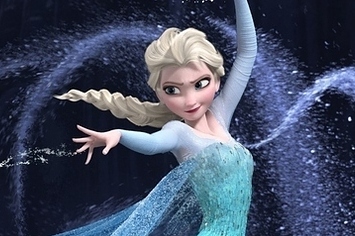 I have come to realise that over the past year my life has been guided by Queen Elsa of Arendelle. Yes people, I now look to a fictional animated disney character for guidance. This works really well, try it. 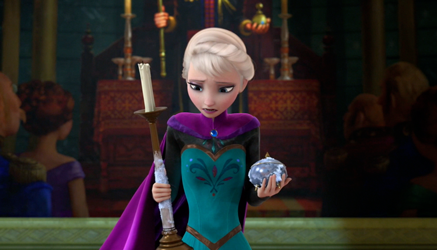 In times of stress remind yourself, what would Elsa do? The other Princess Elsa behaviour I have increasingly taken to heart is to hide what's really going on. I am an optimist, I will always look on the bright side but sometimes it's good to actually tell the world what is going on so they can really understand. I mean that was Elsa's fatal error with her sister wasn't it? If only she had revealed all about her powers earlier on, it might have saved a lot of problems (although the film would not have been so interesting I guess). Clearly the stuff I post on facebook and blog about is always going to be the tip of the iceberg. It's intensely personal after all and it's not just about me, it's about my family and my children. But when you are the one trying to spin those plates and keep everyone together it can sometime just get overwhelming to keep it all to yourself. I've always been open about everything so am I being true to myself if I'm not open in my blog? It's a dilemma when you write about your family and clearly there is stuff that goes on, particularly where the children are concerned, that I will never write about, but maybe I have held back a bit too much talking about feelings. Looking back at the early posts on this blog I definitely wrote a lot more about feelings than I do these days, determined now to remain positive and optimistic. The thing is I am mainly positive and optimistic, it's in my make up, I'm always going to be focused and determined and looking on the bright side. But I'm wondering now if by not sharing, by concealing, not feeling, then i'm not being open and honest and helping other people understand what our world is actually like. For example, Andy has been really poorly and I've put a brave face on it. But the reality is that I've been really scared. Scared that I was going to lose him, that this was the end. Scared of how I will cope when he is not here. In many ways I have had to become the single parent already. It's been a year since he has been able to help with any of Daisy's IVs or care and he's no longer able to drive and so I am the full time parent taxi service. But how will I cope emotionally. When you have shared every moment of your life with someone, for 27 years, how do you cope when they are not there? But I've had to put a brave face on for the sake of the children, our friends, family, for Andy. be a mum to our other three children. Without my running, which has now been relegated to three very early morning sessions a week, I don't know how I would cope. I'm not sure if people realise how tough it's been both recently and over the last 10 months. It's a fine balancing act between being strong and keeping going, and admitting that it's tough. It doesn't mean I can't cope but sometimes it's good to admit that it's tough. I have found myself irritated by facebook comments well meaning in their own way but I guess when friends don't know the whole truth then they can be more hurtful than people will realise. Or maybe I'm just hypersensitive? Maybe by only showing people the tip of the iceberg that I'm currently dealing with doesn't do me any favours, in fact it makes things worse. Not only am I worried about Andy (less worried now his liver numbers are improving) but we face the prospect of Daisy's huge surgery. Next week she returns to Great Ormond Street Hospital for another massive, half day in theatre, surgery. Not one that we were anticipating and one that has had to fitted in with the enforced chemo break that Andy is going through to allow his liver to heal. Once again I'm going to have to explain to my child that she is going to have to go into hospital, she's going to have a "special sleep" and things are going to be bad before they can get better. Bad enough with any 10 year old, now factor in an already traumatised 10 year old who has a learning disability and does not have the ability to express how she feels about this, let alone all the other things that worry her, apart from banging her head against the side of her bed. The only thing I can do is to promise Daisy that I will be by her side 24/7 while she is in hospital. I can't promise her that the surgery will work, even the surgeons don't know this. The hope is that it will improve her quality of life but who knows, there's hardly a track record for the kind of territory we find ourselves in with Daisy. So once again I'll be torn. Torn between wanting to be at home to spend precious time with Andy, torn because I'm not spending time with our other three children and torn because I can't promise Daisy it will be OK. So I'm putting it out there because we are coping but it does not mean everything is alright. On facebook and twitter we can all be whoever we want to be and the world will judge us accordingly. While it appears to other Special Needs Parents that I have won the lottery in terms of a respite package this is because my daughter is now so difficult to care for that I was on my knees and terrified of making mistakes. And when Andy was diagnosed? I had to push back on pressure from various "concerned" parties who encouraged us to put Daisy into care so that I look after Andy. We don't have a respite package, we have a safety valve so that I can recover in order to look after Daisy and during the time she is not in the house deal with all the other issues that being the parent of boys with high functioning autism throws up (and don't believe that as they get older the issues get easier, they don't). And of course there is everything involved in looking after Andy. Keeping ontop of the meds and appointments, making sure he eats regularly and properly, being on the receiving end of the frustration and short fuse reactions that long term steroid treatments bring. We make it all work for us. When Andy is well we move heaven and earth to be able to spend time together and post happy pictures on facebook. When Daisy is having fun we want the world to know. But I'm not going to be like Queen Elsa and conceal the bad times, the whole point about writing about our experience is to tell it as it is, warts and all. Most of the time you will still see me skipping along scattering imaginary ice crystals as I go in my Disney equivalent of sticking two fingers up at it all. But there are times that things are not so good, and if I choose to write about it, it's not because I'm not coping, but it's because I need to be true to myself to tell the whole story of our lives and how we manage to keep those proverbial plates spinning, just.